A luxury sedan that can serve as a four-door limousine one moment and a road-hugging, adrenaline-producing driving machine the next, the 2011 BMW 7 Series remains one of the truly iconic and inspiring flagship luxury vehicles. The 7 Series sedans have had at least eight cylinders under the hood for the last two decades, but with its 2011 offerings BMW has given consumers an option for a twin-turbo six-cylinder engine. 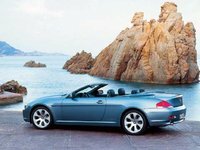 That new engine arrives in a new trim level, the 740, which comes with either the standard wheelbase (120.9 inches) as the 740i trim, or with the longer wheelbase (126.4 inches) as the 740Li. A move up to the eight-cylinder means moving into one of six 750 trims: 750i, 750Li (again the L denotes the longer wheelbase), 750i xDrive (which replaces the standard rear-wheel drive with an all-wheel-drive system), 750Li xDrive, 750i ActiveHybrid, and 750Li ActiveHybrid. The new 3.0-liter inline six that powers the 740 trims produces 315 hp and 330 lb-ft of torque. Efficiency estimates have not yet been released for this engine, but its 0-60 mph time has, and it clocks in at a nifty 5.8 seconds, according to BMW. The 740 trims come standard with a six-speed automatic transmission with manual shift control. As they have in the past, the 750 trims come with a highly regarded 4.4-liter V8 that cranks out 400 hp and 450 lb-ft of torque. The rear-wheel-drive 750 trims (750i, 750Li) get 15 city/22 highway mpg and go from 0-60 in 4.8 seconds. The all-wheel-drive 750 trims (750i xDrive, 750Li xDrive) get 14 city/20 highway and get from 0-60 in 5.1 seconds. Unfortunately, mileage numbers haven’t been released for the ActiveHybrid trims, which add a 20-horsepower electric motor to the 4.4-liter V8, but we do know they go from 0-60 in 4.8 seconds. The ActiveHybrids come with an eight-speed automatic transmission specifically designed to handle the pairing of the gas and electric motors. The other 750 trims come with the same six-speed automatic transmission as the 740 trims. The 7 Series offers a sportier ride than most luxury sedans. And that ride can be adjusted to your taste with BMW’s Dynamics Control System, which allows the driver to shift between Normal, Comfort, Sport, and Sport-Plus driving modes with the turn of a knob. And that’s just the beginning of the technology that makes the 7 Series so much fun, and so safe, to drive. They also have vehicle-speed-sensitive variable-assist, variable-ratio power steering, Dynamic Damping Control, Dynamic Traction Control, twin-tube gas-pressure shock absorbers, multi-link aluminum double wishbone front suspension, integral-V aluminum multi-link rear suspension, and an antilock braking system that includes Dynamic Stability Control, Brake Fade Compensation, Brake Drying, and Dynamic Brake Control. 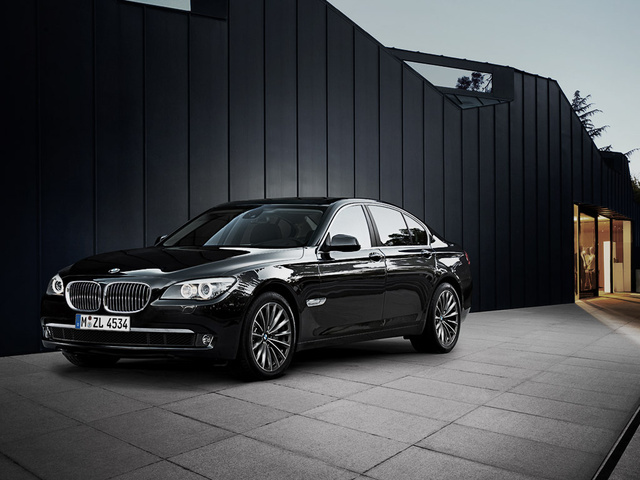 All of the 7 Series cabins are imbued with BMW’s ultimate in elegance and technology. Soft leather and rich wood cover most of the surfaces and give the cabin a feeling of refined opulence. The front and back seats offer all-day comfort. The iDrive system, which controls the car’s electronic functions, has been simplified and supplemented with a few more actual buttons. It still may take some time to learn, but this iDrive is an improvement over its predecessors. Standard features for the 740 trims include Bluetooth, a hard-drive navigation system with real-time traffic information, four-zone climate control, 10-speaker sound system with 12 GB of music storage and an auxiliary jack, power tilt and telescoping steering wheel, power front seats with driver’s memory, leather upholstery, keyless ignition, sunroof, auto-dimming mirrors, foglights, adaptive xenon headlights, automatic wipers, and 18-inch wheels. The 750 trims add soft-close automatic doors, a power trunk lid, 14-way multicontour front seats with adjustable lumbar support and side bolsters, and upgraded leather upholstery. The Li and xDrive 750 trims also come standard with a self-leveling air suspension. Safety features for all 7 Series cars include front-seat side airbags, front knee airbags, side curtain airbags, active front head restraints, stability and traction control, and the deluxe antilock braking system already described. What's your take on the 2011 BMW 7 Series? 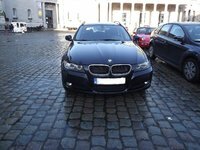 Users ranked 2011 BMW 7 Series against other cars which they drove/owned. Each ranking was based on 9 categories. Here is the summary of top rankings. Have you driven a 2011 BMW 7 Series? I have a 2011 7 series and the jump start cable under the bonnet got so hot it melted the cover and plastic base. Does anyone know what causes that to happen? The transmission stuck in neutral won't shift to park. I have to put the Brake on.